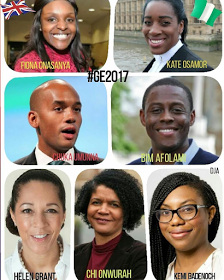 More felicitations from the Federal government have come the way of the seven British-Nigerians who were recently elected into the UK Parliament. 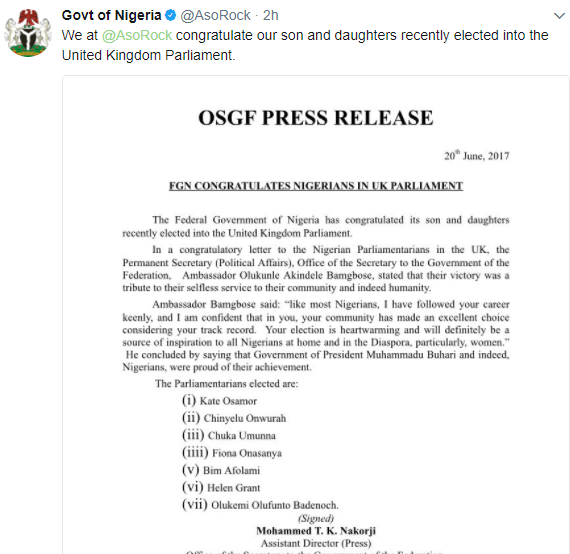 Senior Special Assistant to President Buhari on Foreign Affairs and Diaspora, Abike Dabiri-Erewa had after the election, released a statement congratulating the 7 Nigerians. 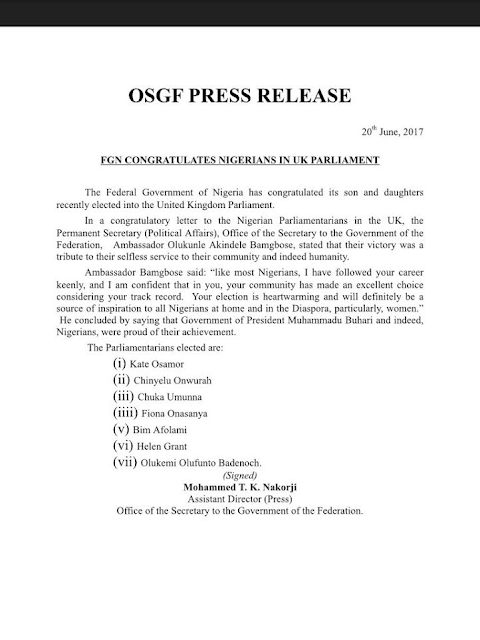 In a new statement released by the Permanent Secretary, Office of the Secretary to the Government of the Federation, Ambassador Olukunle Akindele Bamgbose Tuesday, the Federal government congratulated its sons and daughters who were elected into the British parliament.